Tina is the CEO of a consulting firm which advises on governance, risk management and compliance in sub-Saharan Africa. With over 30 years’ experience in audit and scrutiny, her specialist areas include due-diligence, transparency, anti-corruption, and sustainability standards of financial and corporate institutions. From 2005-14 Tina served as a governor of the Westminster Foundation for Democracy, the UK’s leading democracy building foundation working to strengthen parliaments and support greater democratic accountability in developing and fragile states. 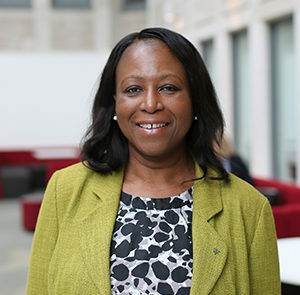 Tina is a governor of the London School of Economics and Political Science and a lay chair of the Advisory Appointments Committee at King’s College NHS Foundation Trust.